CLRAE Rapporteur on Lone Refugee Children, Elmrini to EF on Integration: School+Language=Essential+? 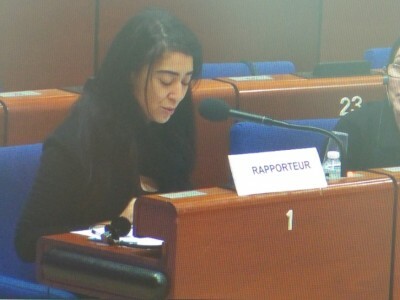 Home newsitems CLRAE Rapporteur on Lone Refugee Children, Elmrini to EF on Integration: School+Language=Essential+? 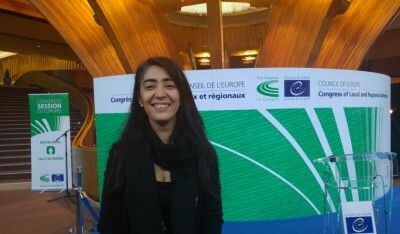 *Strasbourg/CoE/Angelo Marcopolo/- CoE's 2018 Rapporteur on the Topical, Ethically and Socio-Economically important, but also Controversial Issue of "UnAccompanied Refugee Children", seen from the particular but practically crucial viewpoint of Local/Regional Authorities, Nawel Rafik-Elmrini, Strasbourg City's Head of European/International Relations, herself a landmark example of Succesfull Integration at the core of European Society, was awaited with special Interest for the way that she would deal with the most delicate aspects of that still "Hot" Issue of Nowadays. This matter is, obviously, a very Serious and Delicate one, having Manifold and Complex Aspects, spreading, in fact, much Wider than People usually think at First Sight, from Socio-Cultural Human Rights, up to the Human Rights to an elementary Protection and Safety for All People involved, and it even includes, inevitably, certain key Geo-Political parameters, at least as far as it concerns the Exceptional and UnPrecedented "Tsunami" of more than 1,5 Million of People Suddenly send massively to Europe from Turkey just in a Few Months between August 2015 and February 2016, which has undeniably presented a big Challenge for all involved, including by being, in certain cases, Exploited by this or that Socio-Political Group of Interests for their own purposes, without always keeping a due regard to the real Human and Social Dimension, neither to the General Interest of Europe. - "Most (European) States were Not Prepared for the Scale of the Influx, or the Scope of the Issues", Massively Exported mainly through Turkey "since 2015", Elmrini's Draft Recommendation, indeed, reminds. Neither could, seriously, Resumed just in a Few Words, Nawel Rafik-Elmrini's almost 30 Pages Long Report, including a Resolution for Local/Regional Authorities, and a Recommendation to the PanEuropean CoE's 47 Member-Countries, particularly with the Deep and Dense, but always Concrete Way of her Writting style, invested in a so delicate and important, "CrossRoads" Issue, Followed by a CLRAE Plenary Debate, with the Participation also of CoE Secretary General, Thornbjorn Jagland's Representative on Migration and Refugees, Tomas Bosek, (See Infra). - CoE's Rapporteur, naturally Agreed, in Substance, with "Eurofora", that, probably, a Most Important Part of her 2018 Report is How to Help Succeed, Nowadays, a Good "Integration" of all those "Unaccompanied Refugee Children" inside the European Society. - Elmrini's Draft Resolution clearly "Recognizes", from the outset, that "each State has a Sovereign Right, subject to its International Obligations, to Determine Whom to Admit in its Territory", but adds that, "although Response-Planning for Refugees usually falls under the remit of Central Government Authorities, in Line with National Asylum Law and Policies", nevertheless, "provision of Care, Accomodation and Education services to Refugees, usually falls, in Practice, to Local and Regional Authorities". 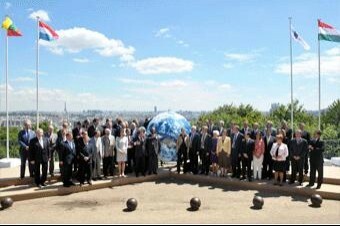 - Even if the questions of a basic Social Aid and Health Care are part of the Latter, it's, obviously, mainly through the Education aspect that Integration could be Achieved, in the Best possible way, for the foreseable Future. >>> There, CoE's Rapporteur immediately Stressed to "Eurofora" that the Main thing are "Schools" for Refugee Children, which should be inside the "Mainstream", i.e. "Normal" Education System, (obviously in order Not to Provoke ant kind of "AppartHeid"-like situations in the National Education of CoE's Member Countries). 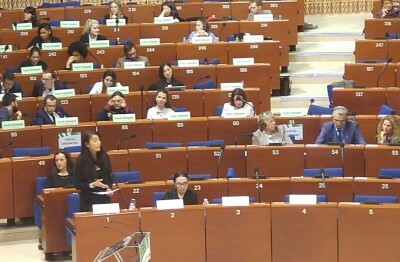 + Added, also, to what CoE SG's Representative for Migrants/Refugees, Tomas Bocek, stressed during the relevant CoE's Debate, earlier Today, about the Need to Avoid, at any price, "Ghettos", (and, notoriously, the "Cultural Ghettos", who are generally considered as the most pernicious), this should, Logically, mean that Local/Regional Authorities should, normally, take Care in order to Prevent any Risk of Over-Concentration, (particularly of the Recent, "UnAccompanied Refugee Children", who are Mostly from Far Away Countries, withOut the Historic Knowledge of at least an elementary European Culture and Language, as the South-Western Mediterranean, mainly "Mahgreb" Countries, who Already have Long and Close Relations with the French and/or Italian, Spanish, etc, Contrary to Afghanistan, Pakistan, Turkey or Iraq, etc). Obviously, f.ex., if some let accumulate ..."21 out of 24 Pupils needing to be Integrated", just in One Classroom (sic ! ), as it's reportedly the case in some Schools at Vienna City's suburbs, (according to a Reportage by German mainstream Newspaper "Die Welt"), then, such a "Cultural Ghetto", UnBalanced situation, does Not Help any Children at all, (Not those of the Recent, 2015-2016 Mass Migrants, Neither those of the Pre-Existing Populations, many of whom are also Poor and "Fragile", since Both notoriously, need a Well-Balanced Immersion in the European Culture, and certainly Not a Separation from it). => And, it's at this, Crucial, point, that Elmrini also, Spontaneously, turned to Add, specifically, the Important matter of the Host Country's "Language" learning, on the occasion of her Reply to another "Eurofora" Question on the various, necessary "appropriate ... Learning Support Services, including Teaching Assistance", that CoE's Rapporteur Draft Resolution calls to provide, (Article 7, § e). 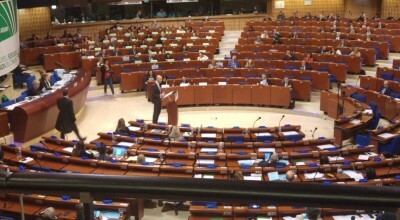 - During CoE's Debate, Elmrini naturally Accepted a Suggestion, made by a Member of the Turkish Delegation to the CLRAE, (which notoriously has several Migrants of its own inside Europe, even if Arabs naturally are, by far, the Most Numerous and Ancient Migrant People here), to "Consult Refugee Children themselves" about what they might wish, in these regards. Indeed, a Good Idea, as far as it can Help Avoid, f.ex., the "fragile" Refugee Children's eventual Infeodation and/or Manipulation by some so-called "NGO" "Intermediaries", who, in fact, are executing Policies Imposed by some Foreign Governments' Networks, (as, inter-alia, that related to Controversial "IDLIB"s Networks, in Fact Paid and Controlled by Ankara's Government, which Recently fuelled a Scandal about "Spying" Turkish and/or Other People living in Europe, that the German Medias denounced very strongly, triggering several Official and/or Popular Reactions). - But, on the Contrary, CoE's Rapporteur did Not Say Anything, about anOther, Different, Request by a Turkish Representative, to Impose also a systematic and generalized Learning of the "Language of Origin" of the Children, as she had claimed. Obviously, because, for the fluently Speaking a Perfect French, Nawel Rafik-Elmrini, (who is not only a French Citizen, but also a fully Socio-Culturally Integrated Lawyer, specialized in Intellectual Property Rights), for the Sake of any Migrant Children's Future, a Good and Efficient Learning of the Language of the Host European Country is, Naturally, the Best, and Necessary Tool for a Succesfull Integration. + In Addition, her draft Resolution already Dissuaded, from the outset, Against the Risk to "Create Parallel or Alternative Systems", and/or "a Divide between Host and Refugee Communities", which would "Slow down Integration efforts", while even "Cultural Barriers" may "leave Refugee Children at Greater Risk", as she Warns. - Particularly when "Changes in the ... Cultural profiles of those Arriving Since 2015", mainly through Turkey, "have Created" also "Other Challenges ... in Host Countries", as her Report observes. Therefore, Rafik-Elmrini is, indeed, "Aware ... that ... there Certainly are (also) Other, Significant Issues, which canNot all be Examined in This Report, in Detail", (since it "proposes to Focus on 3 essential Aspects" Only : "Protection, Care and Education", i.e. Leaving out, f.ex., the above-mentioned "Cultural" and/or Values' aspects, etc). 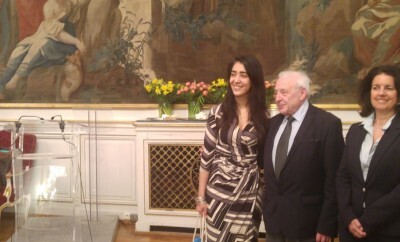 - However, for Strasbourg Euro-Metropole's Director of European/International Affairs, who Hopes that Europe "will be ReVitalized by EU Citizens", particularly on the Basis of Human Rights and Democratic Values, etc., as Nawel Rafik-Elmrini has just Stressed, Yesterday Evening, at an Official Reception of the CLRAE in the Historic City Hall, DownTown, exactly there where CoE itself had been created on 1949 by European Political Leaders, at least an elementary Knowledge of, and Adherence to a basic set of Common History, Culture and Values, able to Help all People Live Together in some Social Cohesion, naturally, canNot lbe totally ignored. Indeed, as even a convinced, old-time Socialist, from Scandinavian Countries, and CoE's former Senior Official, under f. British CoE Secretary General Terry Davis, has already told "Eurofora", f.ex., even in such a Traditionaly Refugee-Friendly Country as Sweden, some very particular characreristics of many among the Latest, Massive Waves of Asylum Seekers/Irregular Migrants hrough Turkey (Comp. Supra), if due Care is not taken with appropriate measures, risk to provoke UnPrecedented Problems, particularly because of certain "Cultural" Issues, (including, f.ex., a Heavy "Islamist" Agenda, never seen before, as he pointed out). - Thus, "Language and Job are Not Enough" for a Real "Integration" in European Society, soberly titled, indeed, in its Headline-News, mainstream German Newspaper "Die Welt" Nowadays. Instead, Reference was made to a so-called "New Concept of Integration", pointing, in particular, to that which was tested and proned f.ex. 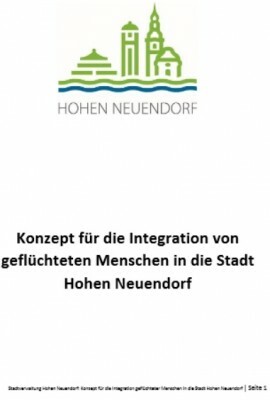 by the City of "Hohen NeuenDorf", which declares itself seriously "Committed" to a Succesful Integration of Migrants, including many UARC. 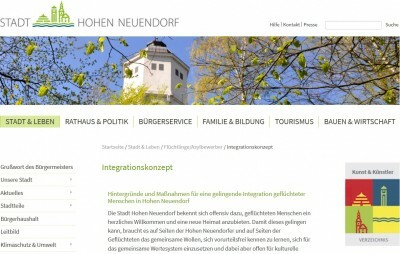 + Their relevant Pamphlet contains a Series of Concrete Points, which includes, but does Not Stop Just to Housing, Health, Language and Education, as well as Job : It also Adds Developments about what it calls "Social Integration", "InterCultural Openness", etc., and speaks about things like : "Support to a Common System", "Commitment to the Common Good", and Other Points serving "to Bring People Together". Given the Human, Intellectual and Social Personality of CLRAE's Rapporteur, Nawel Rafik-Elmrini, it obviously looks Certain that she woN't Deny that at all. But the Main point, Nowadays, is that this German Example stresses the "Immence Importance" of those Values "for a Successful Extremism Prevention", (Including Both "Right-Wing Extremism, and Extreme Left, as well as Islmist Extremism", as they say). And, to be Honest, as well as Efficient in Real Practice, the undeniable Truth obviously is that, the European People have been Traumatized by a Series of Exceptional Incidents against EU Citizens, and mainly Horrible Terrorist Bloody Crimes, cowardly Targetting innocent Civilian People, several of which have been notoriously Committed by more or less ... Fake "UnAccompanied Refugee Children" (sic), who had Exploited Scandalous Loopholes of the System. It would be a Shame to Hide that Truth, and a service only to Terrorism and to Left or Right-wing potential Extremisms. Often, Victims may be also (real) fragile Refugee Children : As, f.ex., that 10 Years Boy of a poor Family of European Refugees from Serbia, who was Raped by a much More Aged "UARC" just arrived through Turkey from Asia, in a Swimming Pool at Vienna (Austria), where the latter had been Led by a Socio-Cultural services' paid Agent, in order to "Amuse" himself. Similar Incidents, f.ex., of reported Attempts of Sexual Assaults against very Young Children of Refugee Families were cited also in Berlin (inside a Collective Faciility), added to 2 Rapes of Children by Older Refugees inside a "Hotspot" at a Greek Island facing Turkey, (etc). So, Protection is Needed for practically Everyone. In real Practice, the Main Point, Notoriously is that, (as even Recent Official Reports from UNHCR and/or the Brittish Police, etc, attest), a too Great Number of Treacherous Young Men, pretending to be "Children", Abusively Infiltrate Europe's "UARC" System, (particularly Since that 2015-2016 UnPrecedented, Sudden "Tsunami" of 1,5 Million Massive Asylum Seekers/Irregular Migrants flowing to Europe through Turkey), in Attempts to Exploit the various Advantages normaly reserved to Real Refugee Children. 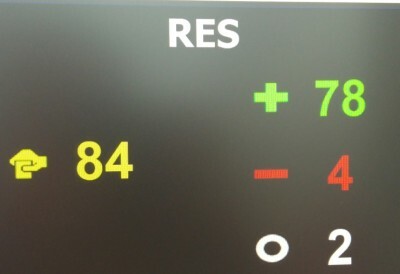 F.ex., that Issue was Discussed at a PanEuropean level in a "Side-Event", organized in Strasbourg during a previous CoE's Parliamentary Assembly's Plenary, and clearly Results also (among Many other Cases), Both from the 2017 and 2018 Published Official Reports of the UK Authorities on Migration and, particularly UARC, Statistics : According to them, almost ...a 2/3 Absolute super-Majority of such Suspected Cases proved, indeed, to be a Fraude, (with the concerned Individuals being, in Fact, Adults), representing, approximately, around 11% to 20% of the Total cases. - In cases of Doubt about the "Identification" of Unaccompanied Refugee Children (UARC) as such, concerning their Real Age, this should be Examined on he basis of "Scientific Criteria", she mainly stressed, in Reply. - Indeed, her 2018 Report notes "the ...Need to Strengthen Age Asessment procedures", "conducted in a Scientific ...manner". => For that purpose, "EASO's Original Guidelines" (of 2013) should be "Supplemented and UpDated", inter alia, also, f.ex. by a "consistent application of Good Practices", she advises, pointing also at a 2016-2017 UNCHR Paper on "the Way Forward" in these matters, as well as to a relevant Report of CoE's Committee for the Rights of the Child, "based on a Survey and a Litterature Review", published on 9.2017. >>> But, from these Texts, (except from some Interesting Methodological and/or Comparative Ideas), did Not emerge yet any Crystal-clear nor Fully-fledged "Common Standards" on "Age assessment" mechanisms yet, (that the UNHCR Paper prefers to be Developed at "EU Level"), which could be translated asap. in Legal Norms Europe-Wide. *** However, as if EASO, (the "European Asylum Support Office" of the EU), had ..."Heard" Elmrini's above-mentioned Call, "Eurofora" found that, indeed, it has ... just Published a fully UpDated, 2nd Edition of its 2013 Book, precisely this very Month of March 2018 ! 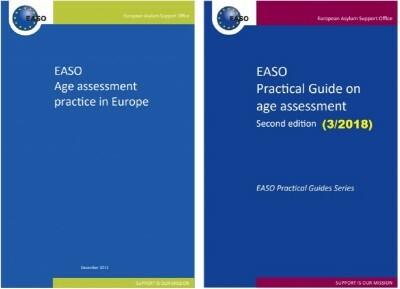 The New EASO 2018 "Guide" on Age assessment is naturally much Bigger Now, with more Extensive Information. Nevertheless, it seems that its Original Edition of 2013 may still present a Specific Interest, particularly in Certain Key Points, (f.ex. the Description of Medical Methods, the International Comparisons, etc). As UNHCR a.o. observe, however, Children Rights need Age assessment not only in Asylum-related cases (i.e. for "Refugee" status : EASO's competence), but also for Various Other Reasons, (f.ex. Health, Social, Judicial Rights, etc). That's one reason more for which UNHCR has advised for a Wider EU-level tool on Legal Rules concerning All cases of Age assessment (Comp. Supra). At any case, in Principle, All Methods of Age assessment should be carried out with due "Respect (for) the Child's Dignity", be "Child-Friendly", "Gender-Sensitive", and better "Avoid Invasive ... Procedures that Risk Violating the Child's Physical Integrity", Elmrini's Report adds. >>> Indeed, "Many States increasingly involve NGOs, and (even) the Private Sector, in Managing Reception Facilities, and this Raises ... Questions about the type of Staff, Training, ... Policies", etc., she Critically observes. 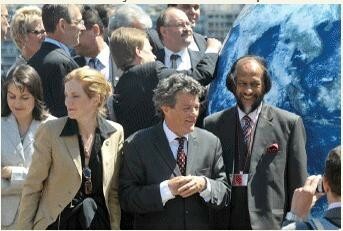 + In this regard, "Eurofora" also observed, recently, that COE's Officials of the "Lanzarote" Convention for the Fight Against Sexual Exploitation and/or Abuse of Children, during a Collective "Press point", had, indeed, Discussed with some interested Collegues the actual Risk for various "Predators" to Infiltrate f.ex. some NGOs used by the Public Authorities in certain Collective Buildings or Camps for Mass Asylum Seekers/Irregular Migrants, incuding Many UnProtected Children. => That's why, "it is Vital", for "Child Protection Agencies", to exert an efficient "OverSight" "in relation to all Institutions in this area, including Migration Centers", and/or to "Develop New, Family-Based Facilities, in Local Communities, or Support Fostering, or Other Alternativ Care arrangements, within Refugee Communities", "where Local Authorities can and should take a Lead", Elmrini's Report suggests. 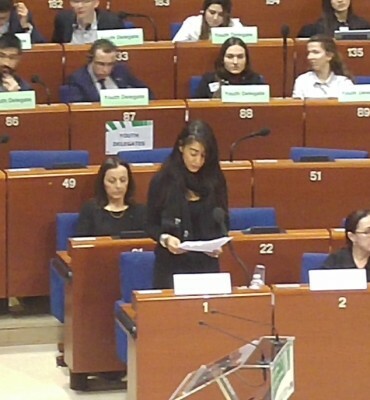 => Last, but Not Least, Nawel Rafik-Elmrini's Draft Resolution for Local/Regional Authorities, was finally Adopted by CLRAE's Plenary with a Very Wide Majority of 78 Votes for, Against Only 4, and 2 Abstentions. 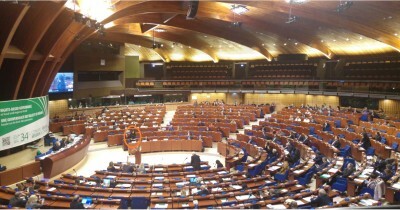 Similary for her Draft Recommendation to CoE's 47 Member States, which was Adopted by 75 Votes, Against Only 5, and 1 Abstention. Astonishingly, for such a Topical, Multifacet, Delicate and Complex, even partly Controversial Issue, which Concerns many Millions of People spread accrsss Most European Countries, it was a genuine Surprize for "Eurofora" to find out that there was ....Not Any Amendment at all, which might have Attempted to Change at least one or another part of her Drafts, (Apparently indicating that a Realistic and Good Balance of Interests, as well as, eventually, several Deals and Compromises, had been already Agreed, Beforehand, probably in Committee level and/or otherwise, in Addition to a quite Well-Balanced Formulation of Most Observations and/or Proposals.